We’ve all been there. You’ve worked all day to make the perfect entrée, but there’s just not enough space—nowhere to entertain! How can you throw the perfect gathering if your house just doesn’t have the layout for it? Don’t go through this again. In your next home build, create the perfect entertainer’s kitchen that easily flows into your gathering spaces. Give yourself the joy of having indoor-outdoor seating, a breakfast nook, snack bar, and a spacious dining area to top it off. If you love to entertain, and want to do it with style, check out these home plans available online from Direct from the Designers! Of course, you can always check out our full collection of Homes with Fabulous Kitchens to see all sorts of amazing house plans. 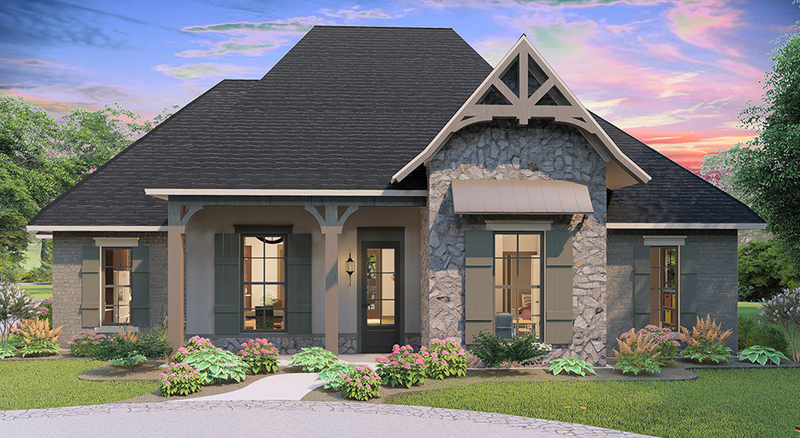 House Plan 6981 is a show-stopping French country home plan with a kitchen that never disappoints. The open concept allows you, as the chef, to remain a part of any party you’re hosting. Counter space stretches along the entire back wall of the kitchen, on the left side of the house. 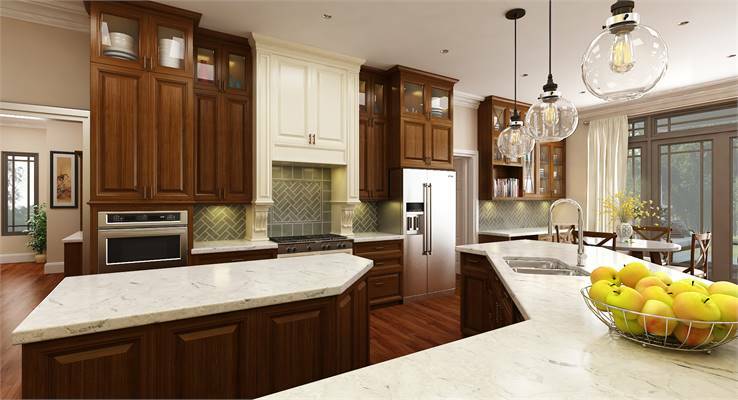 And an oversized pantry and island offer even more in terms of counters and storage! 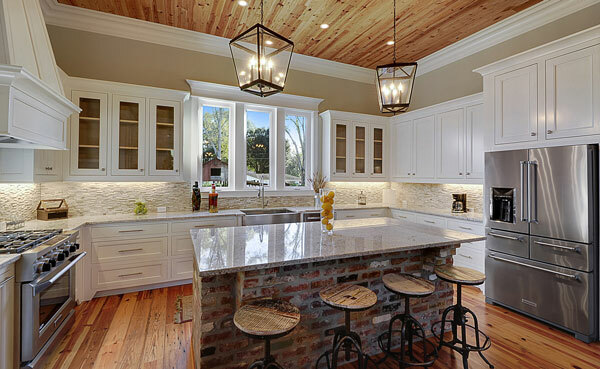 Large windows above the sink allow you to enjoy the view while working, and an in-island range helps you remain part of the party at the same time. 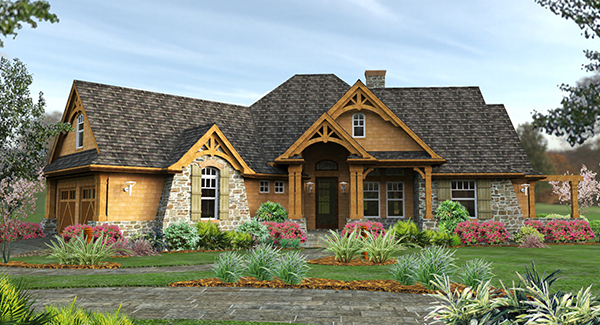 House Plan 1895 is one of our most popular home plans, and for good reason! It is midsized, yet spacious, at 2,091 square feet. Its kitchen has nearly 180 degrees of counter space between the wall and peninsula bar, plus an additional island in the center. A corner walk-in pantry offers additional storage, while the snack bar and breakfast nook allow for additional eating and entertaining space apart from the formal dining area. If you love this entertainer’s kitchen setup but need something different in your home, we have very similar layouts in homes in a range of sizes by the same architect! 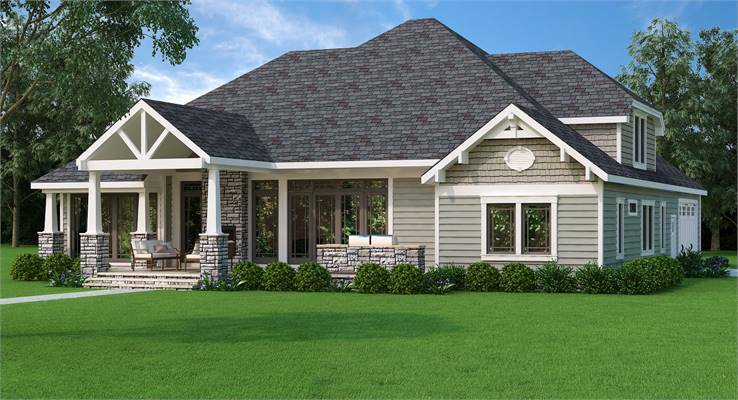 For those looking for a large home to entertain in, House Plan 8292 is a must-see option. This spacious French country home, presented with a designated outdoor living space, allows you and your guests to easily flow in and out of your home. The gourmet kitchen includes space for oversized appliances and a bar, and it looks out over all main living spaces. This allows for flow from one room to another with ease. The rear of the home is also highlighted by expansive windows for full enjoyment of any view. 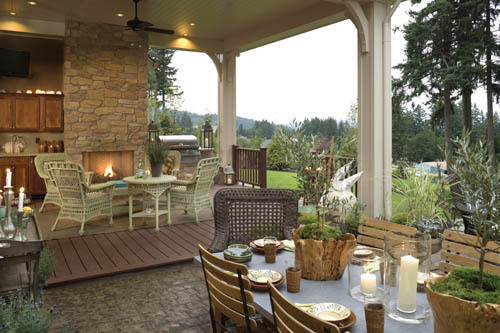 Don’t forget to consider that the outdoor living area includes an outdoor kitchen, too! Looking for an adorable and unique modern farmhouse with a kitchen worth fawning over? 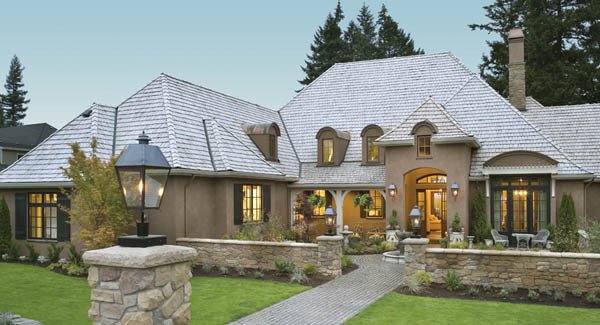 Look no further than House Plan 9772! 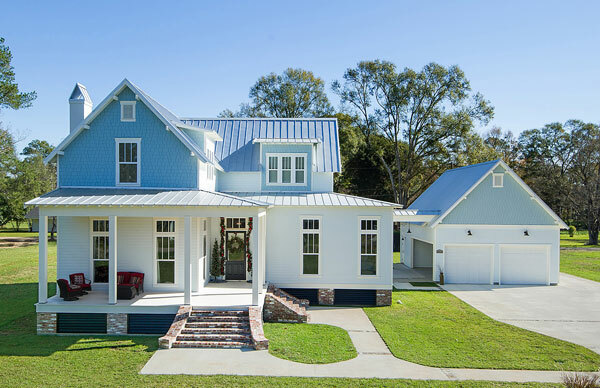 This one-of-a-kind house plan has a completely open concept layout. The kitchen is an expansive 19 x 12 feet, with 12-foot-high ceilings. With plenty of room to include any and all appliances you may desire, this home could support an entire chef’s kitchen! The island provides space to gather while dinner is being prepared, and a dining area is large enough for all of your friends and family. 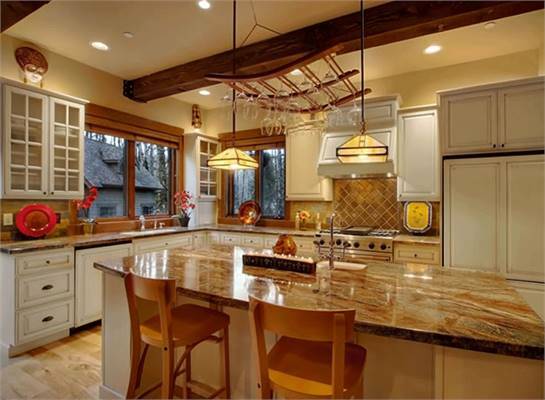 This home is perfect for entertaining, and may just be the perfect home for you. 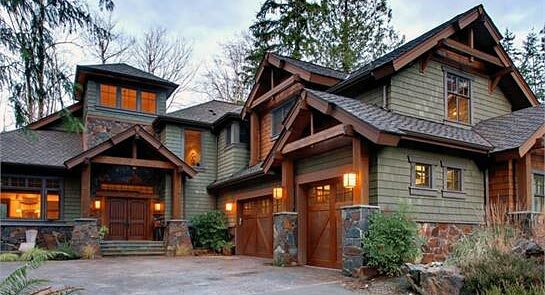 Everything about House Plan 3407 is grand and larger than life. Its spacious foyer invites your guests in with “WOW” factor. Then they are led past a staircase and through one of two sets of French doors—into the main living space to the side or the dining space straight ahead. A perfectly placed fireplace feature and overhead beamwork accent the large great room. 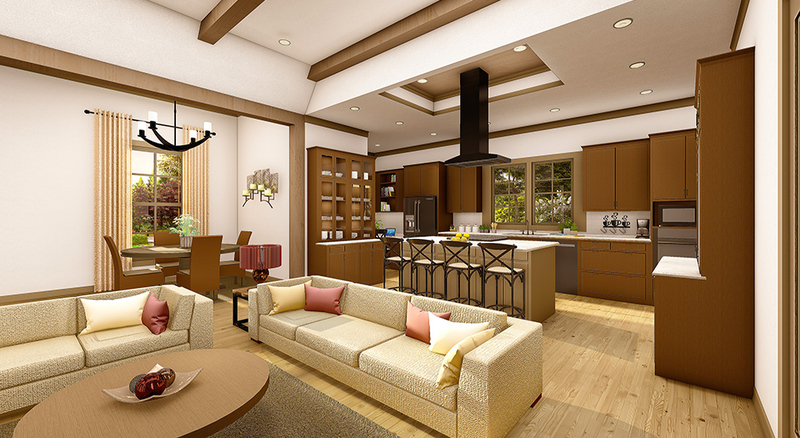 The semi open floor plan allows for great flow in the home, but also adds some formality when it comes to dinner. This entertainer’s kitchen calls for two sink locations, which makes for a tidy and inviting experience. There’s room for an oversized stove if desired, and a walk-in pantry. The island in this home is expansive, oversized, and ready for hosting! And with windows on two walls, you’ll never feel like the kitchen closes in. 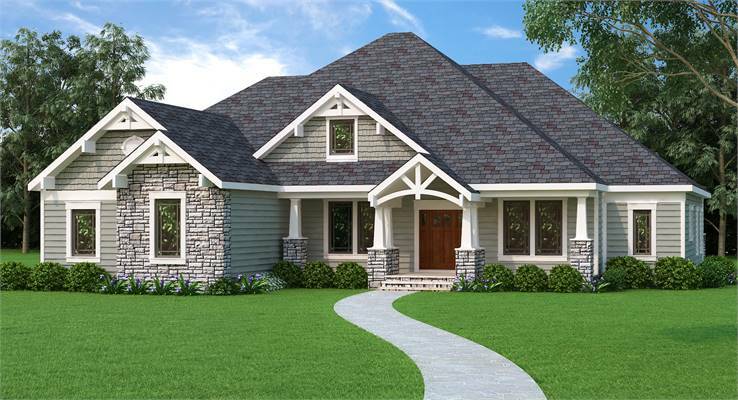 House Plan 9898 is a traditional and spacious midsized home with room to grow into! This gourmet entertainer’s kitchen sports an oversized cooktop, space for double wall ovens, and an amazing amount of counter space—including an additional large island in the middle and a built-in desk by the breakfast area for handling all the household bills and/or getting the kids to study. The expansive kitchen overlooks the great room, which is accented by an indoor/outdoor fireplace and plenty of windows for light and views. Don’t stay closed up inside! An incredibly large outdoor entertaining space includes a covered loggia and an open patio with its own cooking area. This is perfect for entertaining, as it can easily connect to and be seen from the main living spaces in the interior. Entertaining can be easy and enjoyable—you just need the right space! 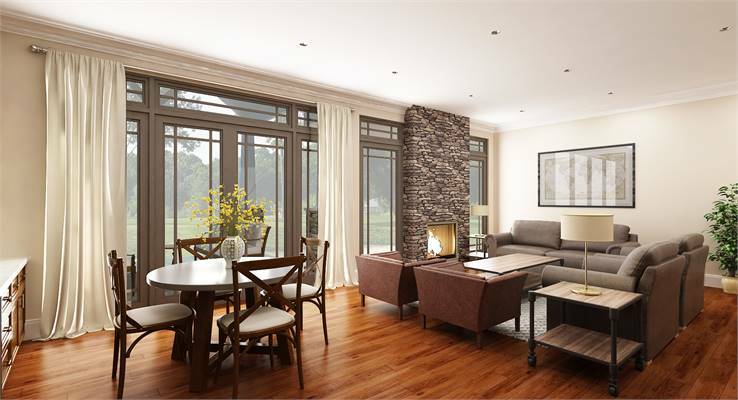 Please view our homes with Open Floor Plans for more layouts that are a joy to entertain in. Copyright © 2019 DFDhouseplans.com. All rights reserved.